You are currently browsing the category archive for the ‘Styling’ category. The below picture is of a branch I wired in Japan. It was actually the first piece of material i was allowed to place wire on. When I first arrived at Taisho-en my duties were watering, sweeping/ cleaning and preparing hot water for the days tea. I did this for a few days as well as helping move the odd tree or other general task around the nursery. I also watched a lot. I watched people styling, pruning and working on a range of different tasks. 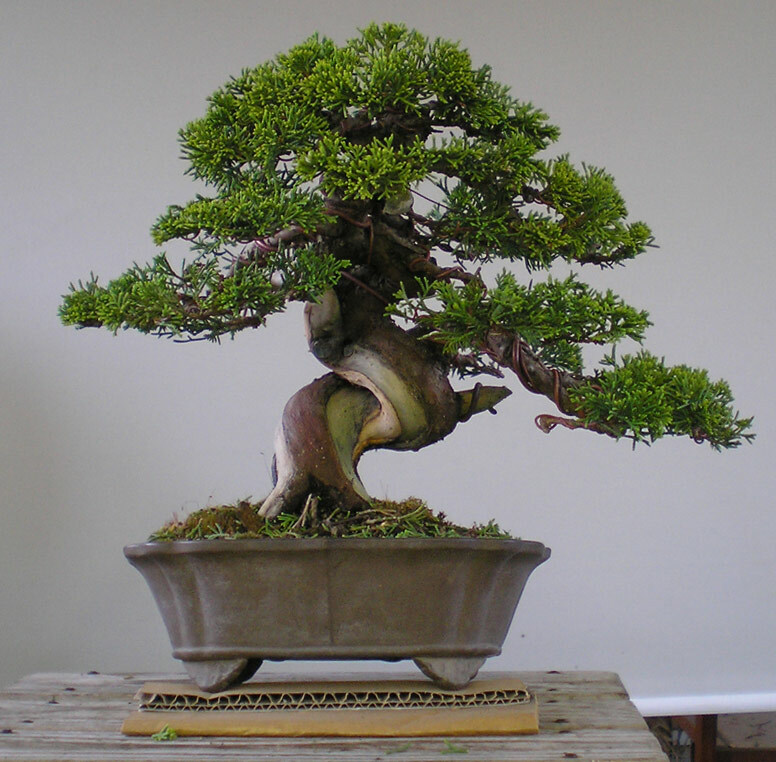 I was actually enjoying the whole process even though i hadn’t really touched a bonsai yet. 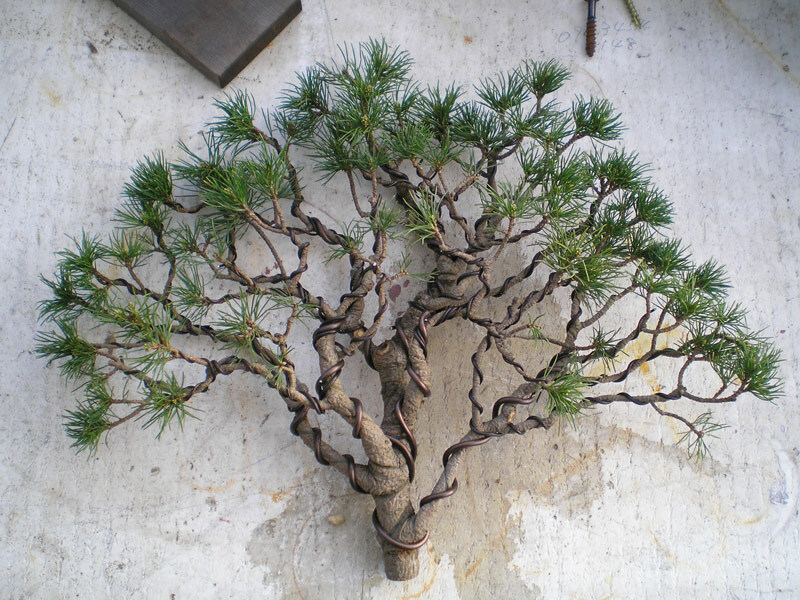 One day Oyakata (Mr. Urushibata) brought me a branch that had just been cut off a white pine that was undergoing a re-styling and instructed me to ‘do wiring’. I was given a small space in the studio and was given some aluminium wire. I proceeded to wire that branch as well as i could. At the time it was the most advanced branch i had ever wired. Previously i had only seen pine ramification like that in books. Looking back at it now all i can see is errors in my wiring but at the time i was pretty happy with the result. Oyakata was a little surprised. He seemed pleased with what I had achieved, although he said i had wired the branch too flatly. He then proceeded to adjust my work and explained how important volume within a branch was. I learnt a lot from that one cut off branch. The first branch i was allowed to wire. I passed my first test and that afternoon i was given my first tree to wire. 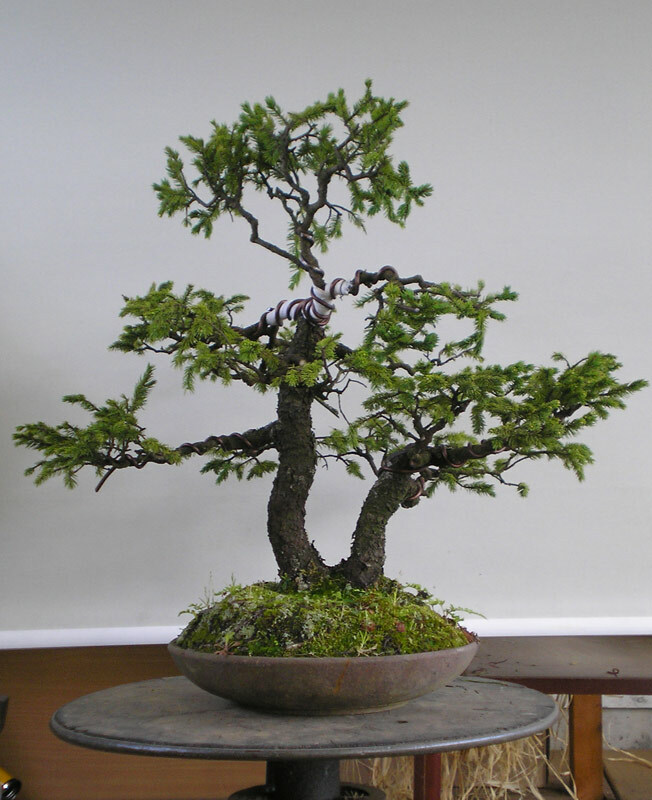 A small Ezo spruce. It was a tree that was hidden up the back of the nursery. It didn’t look like much to start with but i was excited. 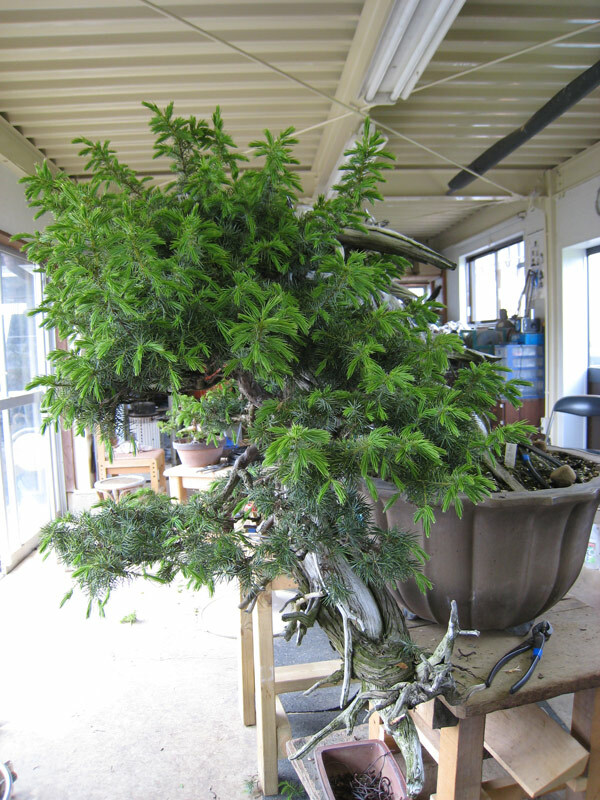 The Ezo Spruce before the work. The apex was pruned out and a lower branch was wrapped in cloth (we couldn’t find rafia) with the intention of bringing it up to form a new crown. 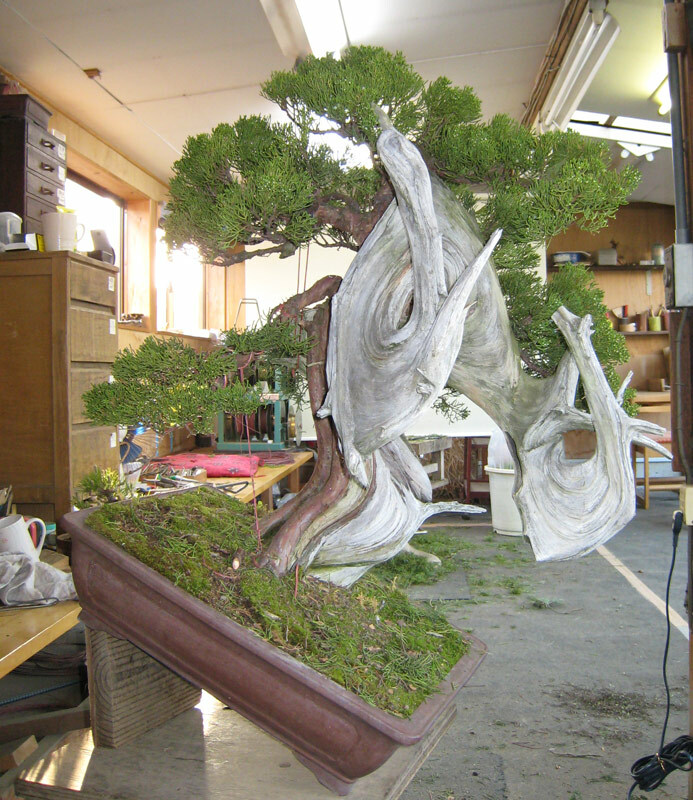 The tree was wired to the tips and I positioned all the branches and foliage. I then showed the results to Oyakata. He again adjusted my work and explained why he was doing so. This was how my learning was to progress through out my stay. 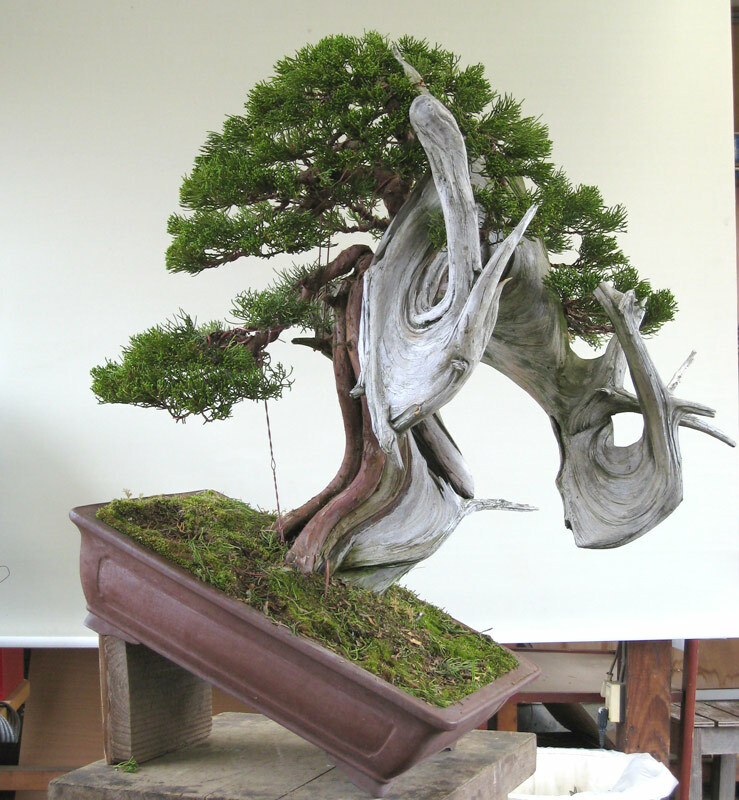 I would work on a tree without much help and then Oyakata would adjust my work and explain why. 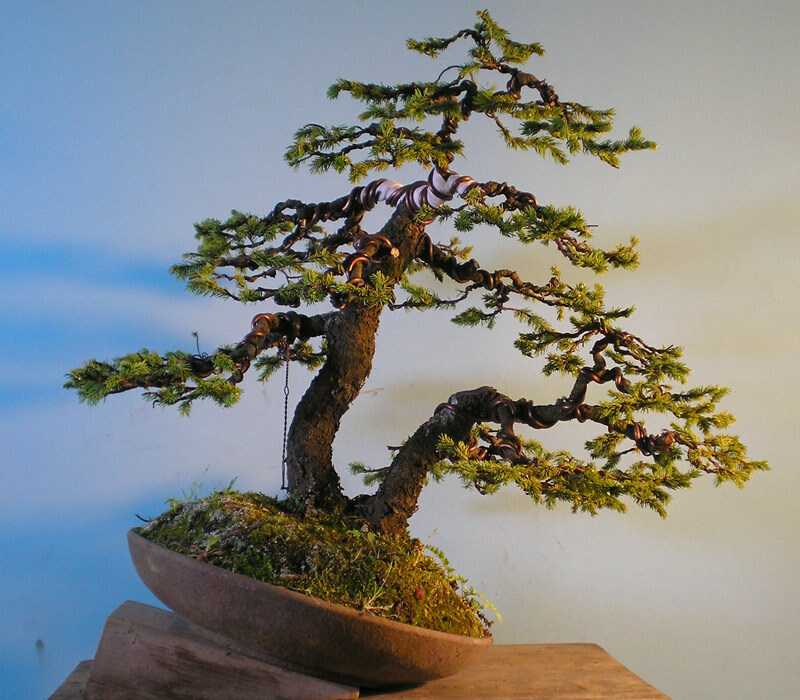 I learnt a lot over the course of my stay and every new tree I worked on had less and less adjustments made by Mr. Urushibata. Sometimes he would lower a branch a little or adjust some foliage, sometimes he would cut off some branches and sometimes he would make me cut off wire and re-apply it. Some trees had a lot of adjustments made others had none. This process of working taught me a huge amount and I am very grateful that I was able to do it. The Spruce and branch above were the beginnings of a very steep learning curve. I look back at them now and see a few things that I would do differently now as I am sure i will do when looking back at my current collecting sometime in the future. 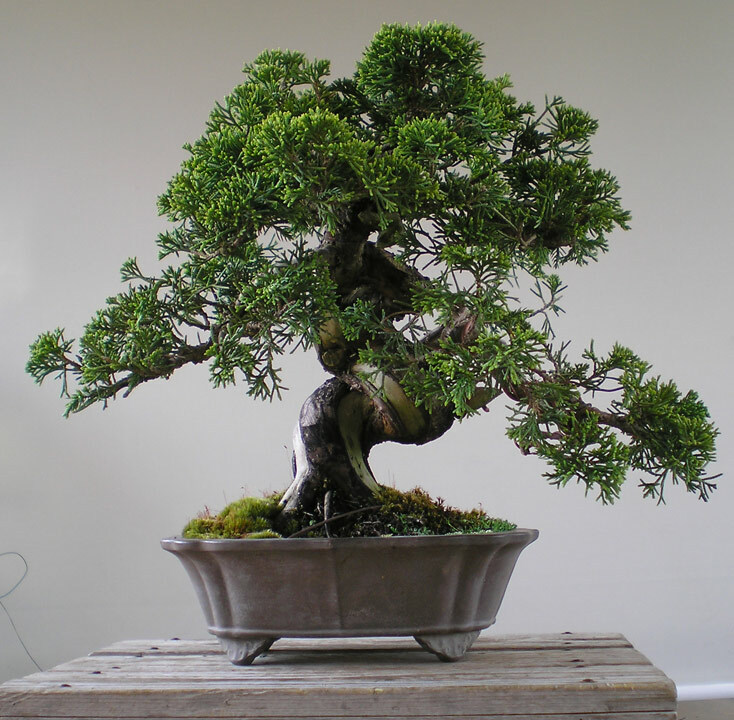 Although i may not be on as steep a learning curve as i was on my first visit, i am constantly learning from those around me and from my observations of my own bonsai. Hopefully i can spend some more time at taisho-en in the future and continue to improve. 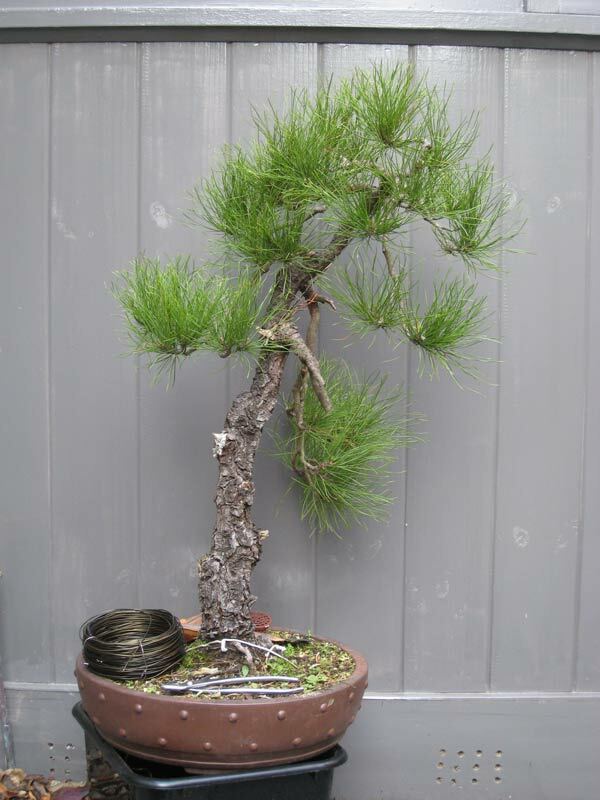 Although there are many forestry species of pine planted around Australia, Pinus radiata is by far the most prolific. Known as radiata in Australia it is also known as the Monterey pine in places such as America where it is indigenous to. As it has been planted on mass it is one of the few coniferous species that you can find to dig. They produce seed well and generally anywhere you find a plantation you will also find feral seedlings. This is so much of a problem in some areas that they are declared weed species. 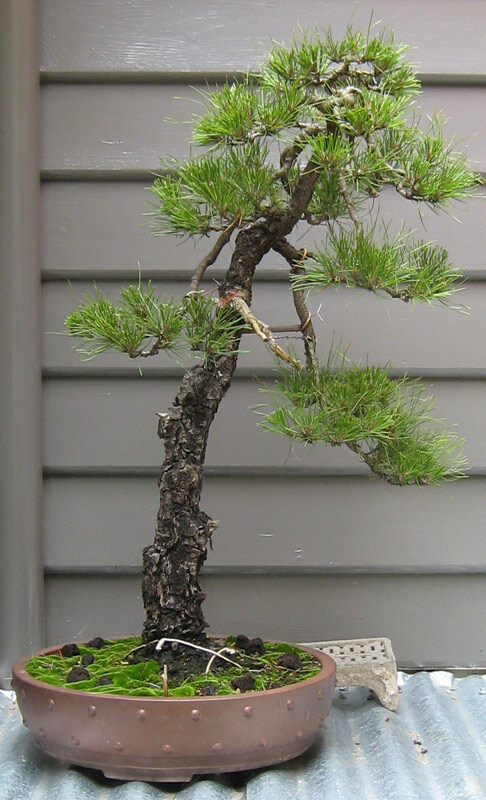 The up side of all this is there are many opportunities to dig and grow these pine as bonsai. 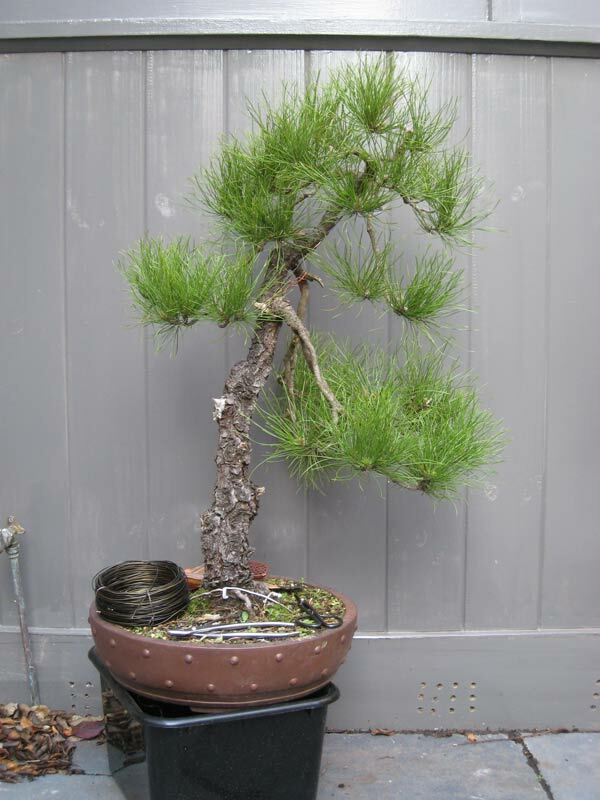 The below pine is a radiata that i obtained through a friend. He had sourced it from an old grower who had no longer been able to care for it. 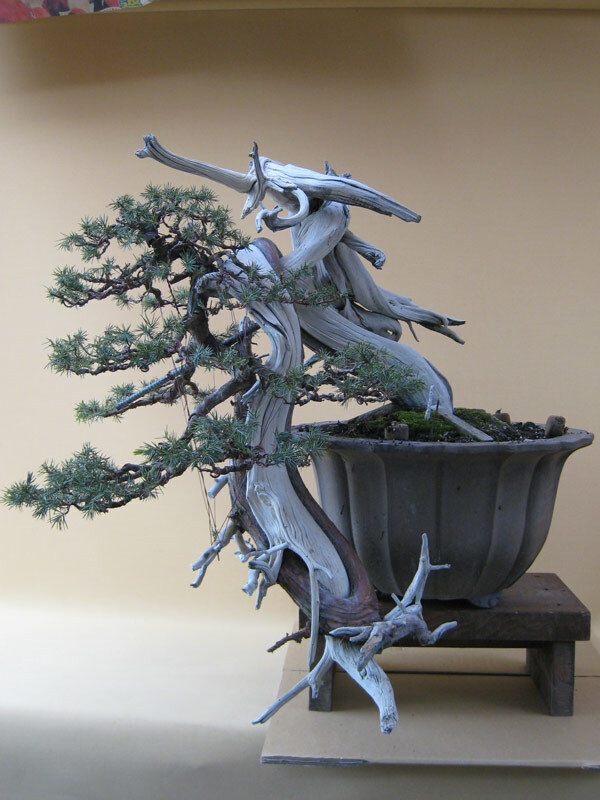 When i received it, it had a lot going for it; old bark, nice nebari and a trunk with some movement and age. These were all factors that encouraged me to pursue its future. That said it also had a whole host of problems. It was quite sick and all the needles were yellow. It had lost most of the lower branches and those that remained all were angled upwards and had foliage mainly at the tips. When I cut the tie wires in the pot it fell over because it had barely any roots. I re-potted and fed the tree back to health over the corse of a year and then began to think about styling. As the branches were all old with quite old bark i was reluctant to bend them into their future downward position in one go as i was pretty sure they were going to be brittle. After bending the branches into the above positions almost every branch had began to crack. 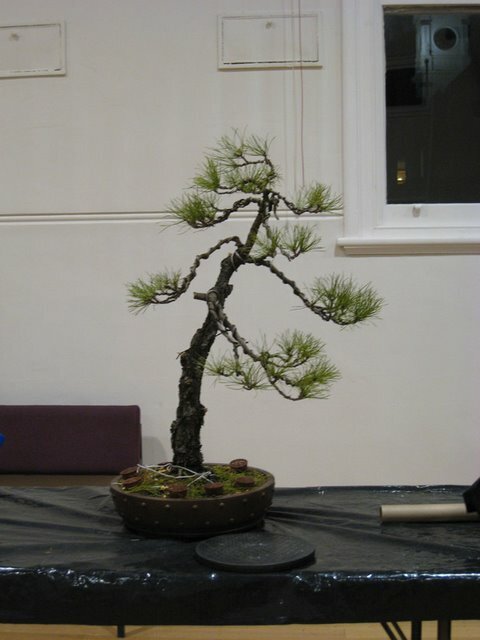 It was now a matter of letting the tree grow out and recover before completing the bending. A year later the tree had been growing strongly and was ready for round two. 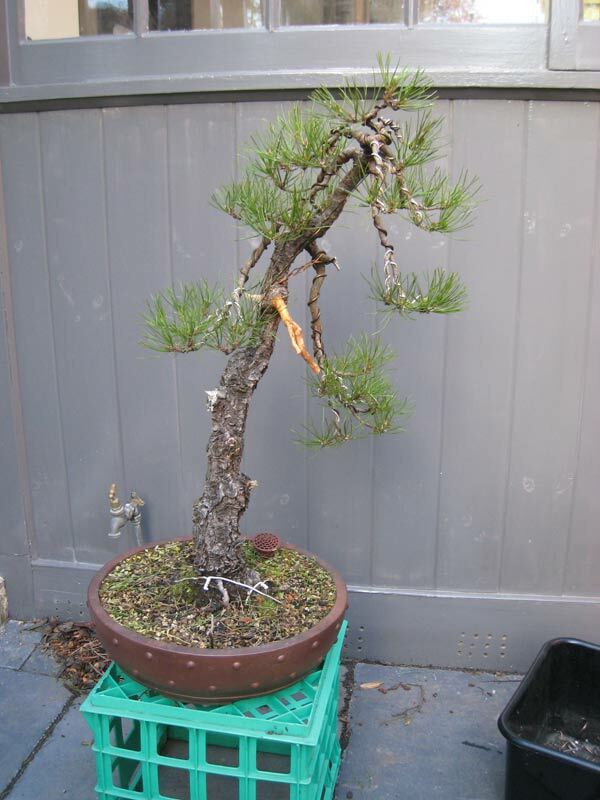 I had slowly increased the downward angle of some of the branches over the course of the growing season but they had not yet reached their final possitions. The tree had recovered well and it was time to make some decisions. I had decided that the first branch would be removed and i would fill this visual position with a ‘Nozoki no eda’ or peeping branch. This type of branch is basically a first or main branch that originates from behind the tree but occupies the space a first branch would. 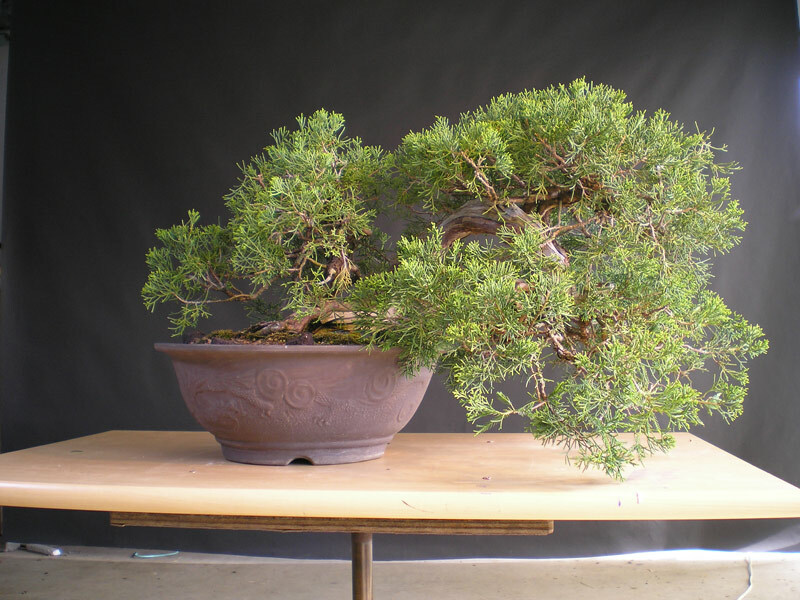 This style of branch is often seen is junipers. I removed the branch and began to wire the tree. You can see the result of this first real styling in the image below. 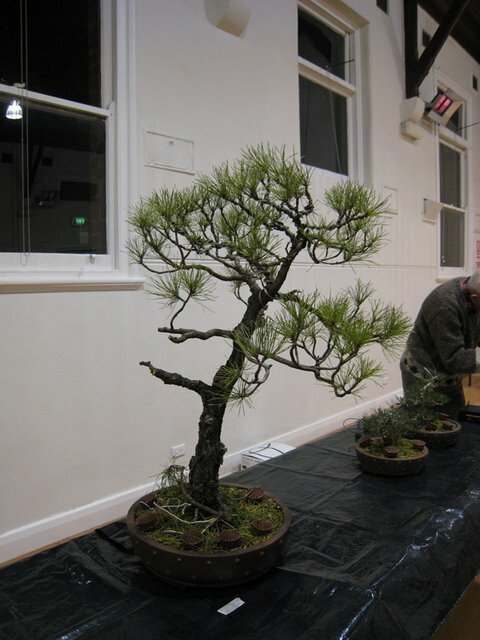 The tree was fully wired into shape and some jin was created at the base of the removed branch. I left it long for future use as a guy wire attachment point and still have not removed it. I will probably get around to shortening it and refining it this winter. Since the above photo the tree has grown strongly and has had one re-wiring. It was starting to take shape and was ready to be un-wired. I un-wired the tree and did a small amount of re-wiring mainly to the tips of the branches. It is nice to reach a stage with a tree where you no longer have to wire every main branch. Above is how the tree ended up after a basic wiring. It really needs a full wiring which i plan to do this coming winter. Hopefully this seasons growth will fill a couple of gaps in the apex and generally give some more weight to some of the foliage and at the same time strengthen some of the weaker buds so i can reduce the branches to them. 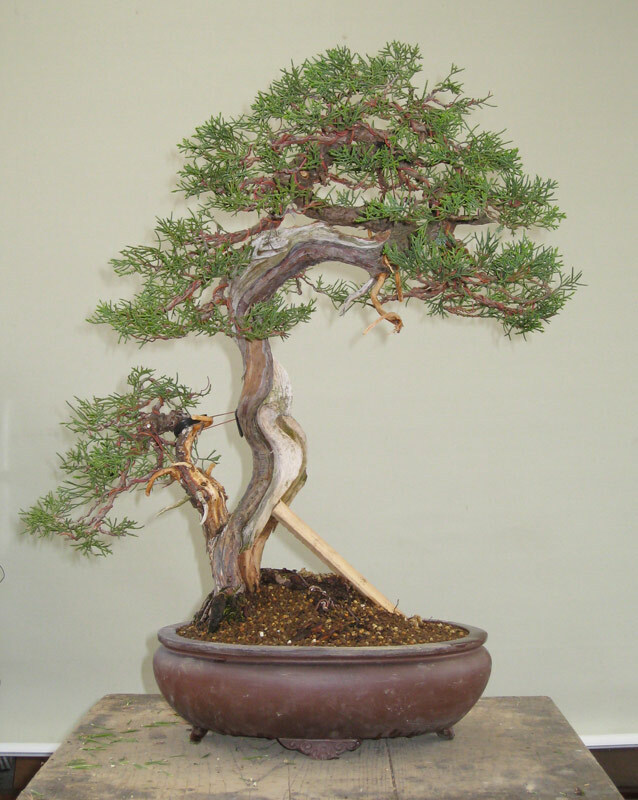 The tree is really only beginning its journey to become a refined bonsai but most of the structure is there. Unfortunately the day that i took the above photo it was raining so the bark is dark and it is hard to see just how nice and crackily the bark is. Radiata’s are a tree that i am still really trying to work out how to grow well. Last year i tried to treat them like a black pine and cut all new growth off around christmas time. It did not respond very well and didn’t really produce any back-budding. This year i am going to grow them a little more like some of the other growers in my area. That is they pinch out strong growth as it appears and continue to do so throughout the growing season. I was kind of hoping that there would be a calendar bases technique i could use to remove the new growth but at this time it doesn’t seem like there is. Perhaps overtime i will understand them more and then will be able to develop a better method. In the mean time i will just enjoy watching them grow and the work associated with those phases. 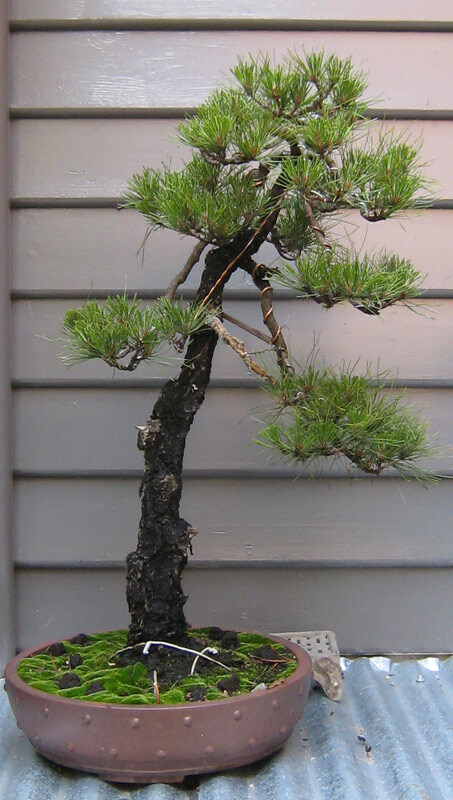 If anyone has any techniques that work with these pines, please share them in the comments.